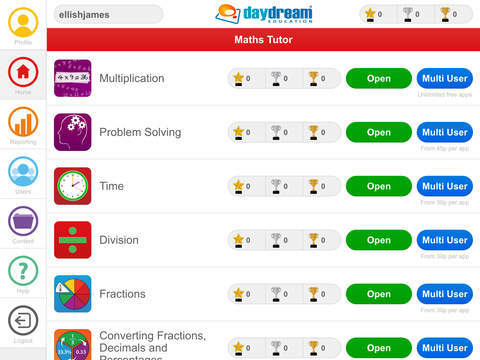 As an app that provides tuition and testing for children, administration and monitoring benefits for teachers and can keep parents informed, this is a maths app with multiple benefits. 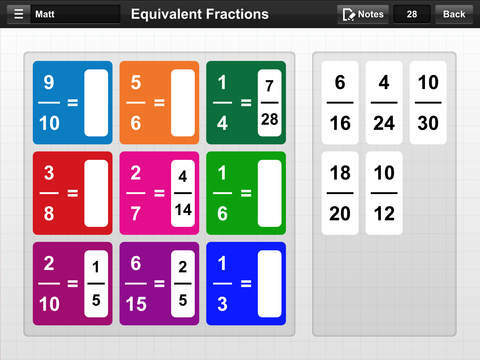 The app that you download for free comes with access to the full multiplication section. This is a useful and well-rounded package in its own right and gives an excellent chance to appraise the app as a whole. What you will find is an app that lets children learn and revise at their own pace and lets teachers administrate and direct this learning. To keep the initial app size small and hence quick to obtain, even the included multiplication section is downloaded separately to the app. Obviously, this will need Wi-Fi access as new sections are added, but only for the first time that they are needed. This is clearly a good decision as it can take a few minutes for a section to download but it is a justified wait. The topics include a well-designed tuition section with diagrams, photographs and well-written explanations. What sets these apart from many other similar apps is the amount of explanation and the quality of it. Most of the tuition can be read out to help those who struggle with reading for meaning. Clear and well-designed explanation videos make things clearer for all students. This leaves you in no doubt that the hefty downloads are worth it. To check understanding, a variety of quizzes accompany each topic. These test the key skills well and are reasonably varied. Multiple-choice, matching exercises and enter the number are common examples of the style of questions involved. They are all easy to operate and clear to read. 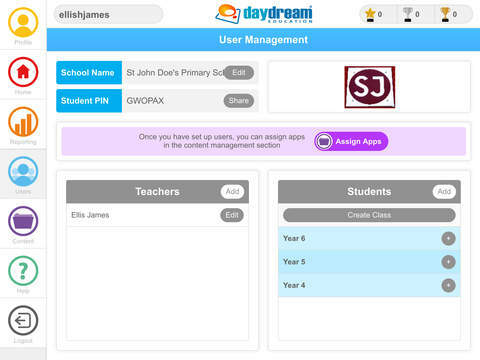 This app is part of a service that can be employed across the whole school. Once appropriate student and teacher accounts are set up, there is the facility for children to learn, revise and practise at home and school. Teachers can monitor and set up their student’s learning and also keep parents informed via email. Each section is referred to as an app by the main app and is paid for using the iTunes account of the school. For a small fee, teachers select the relevant sections to allocate to specific children. This will allow schools to tailor their spending effectively. For example, a child secure in understanding time, but not division need not have the time app allocated to them but can have the division app set as a task. Parents looking to make use of this app can buy one or more of the sections as in-app purchases, with a discount applying when buying the full set. By virtue of its subject coverage and its useful administration facilities, there is a lot to this app.The section that children are exposed to is self-explanatory and they will soon be able to immerse themselves in their learning. Teachers have more to do and so they will utilise more of the app’s functions. The general navigation and utilisation of the app’s functions are clear and straightforward with most things behaving as you’d expect. Any queries are answered in a help guide included in the app that is brief yet complete. There are other apps that attempt to meet the same objectives as this one, but this raises itself above them with its consistent high-quality execution. 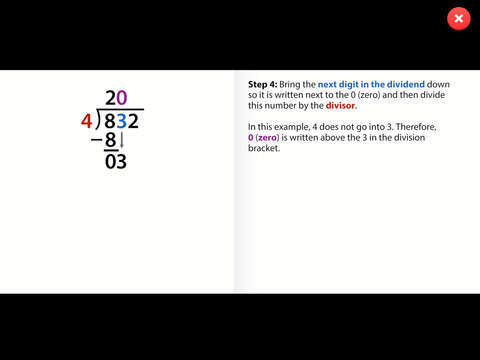 Parents and teachers should consider it for their children’s maths education. This fun interactive app is packed full of engaging educational content and stimulating assessment activities! "Perfect for classroom use…this app is worth a download." 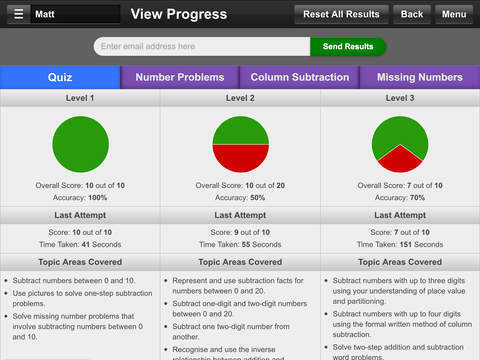 "This app ticks all the boxes which other educational apps should benchmark against." "Some of the most important new apps for schools using iPads in the classroom."